My Saturday weigh in after Easter saw me lose 0.5 lb which I was quite surprised with. I have stuck to meals on plan but I have struggled with chocolate, biscuits and willpower. Being on steroids at a high dose didn’t help either but I am also admittedly quite sick of sweets now and can take them or leave them. I do want to get back to losing weight more consistently and for this reason have planned meals for the coming week as well as body magic activity too. I’m not focussing on the numbers but I am focussing on eating super speed foods and trying to remain full after eating meals. 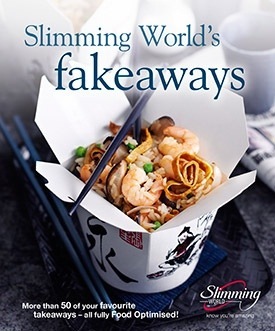 Reading my book again is a good way to get back on plan properly and I am hoping it will give me the weight loss boost I need to get going again. I was delighted that I had not undone all the work I did to lose weight in these last few difficult weeks and am hoping I can springboard my loss to food optimise as well as possible. I also bought the new Fakeaway cook book to add variety to meals as I am getting bored of eating the same things. I bought the new peanut heaven and salted caramel Hi fi bars and am hoping next week will be another week of weight loss.